The Perry County Council of the Arts is one of the Pennsylvania Council on the Arts’ 13 regional Partners, charged with the responsibility of implementing quality Arts-In-Education programs in 7 counties – Perry, Juniata, Mifflin, Huntingdon, Snyder, Union and Northumberland – and 19 school districts. Perry County Council of the Arts (PCCA) works in partnership with the Pennsylvania Council on the Arts (PCA) to place professional artists in classrooms for residencies of 10 to 20 days. SELECTION CRITERIA: Artists will be selected on the basis of artistic excellence, evidence of ability to interact with students, ability to implement a residency plan and availability to conduct residencies. APPLICATION PROCESS: Artists may obtain an application by contacting Arts-in-Education Coordinator Rebecca Covert at aie@perrycountyarts.org or 717-567-7023. Schools, community organizations, libraries and other public and private organizations are welcome to become a residency host site. PCCA serves as the liaison between the host and artist to ensure a successful and rewarding program. PCCA staff assists with contracts, handles housing and travel arrangements, and collects and disperses all fees. Residencies range from 10-20 days and are jointly funded by PCCA and the hosting education system. Business, community and government leaders are encouraged to provide valuable monetary support to help make this cost-effective, quality education available. Artists are carefully screened, qualified and guided to work cooperatively with teachers. Their programs typically include engaging, memorable hands-on activities including dance, literature, drama, visual arts, music and theater. How Can My School Obtain a Residency Program? 1. Choose a discipline that is of interest to you and your students. Dance, drama, visual Arts, music and theatre can be incorporated into any curriculum. Muralist working with history students to create a graphic local history? Jazz musician teaching improvisation to the band? Fabric artist working with ag students? Dancer in a gym class? Poet in a math class? Mobile for a big open space? Residencies such as these and scores of others have taken place under PCCA auspices in recent years. Are there specific interests that you and your students have? Is there a culture that you and your students would like to explore in a new way? Is there a possibility that an artist in residency program could evolve into a community project? Which curriculum areas would you want to include in the artist-in-residency experience? Are there resources in the community to help with funding and/or materials? 2. Contact the Arts-in-Eductaion Coordinator at PCCA by calling 717-567-7023. PCCA will be responsible for contacting the artist, scheduling, negotiating, creating agreement contracts, and making payments. We make travel arrangements and publicize your project. Our program coordinator is available to work with you throughout the residency to ensure a most successful experience for all. To receive an informational brochure or to apply as an artist, host site or funding agency, please contact Arts-in-Education Coordinator Rebecca Covert at 717-567-7023 or aie@perrycountyarts.org. Linda Billet is a glass magician! She joined our team of Roster Artists in 2011 and brought her enthusiastic approach to teaching students to create glass mosaics, and a life, they will love. Billet pursued her dream of becoming a full-time glass mosaic artist when her passion for creating overshadowed the stability of her job with the U.S. Postal Service. Now, she encourages people of all ages to pursue their passion. She has even written a book, “My Meteoric Rise (To Here): The Path of One Glass Artisan,” to share her story and her philosophy. Billet’s commissioned pieces grace private residences as well as public spaces like the Yuko Nii Foundation in Brooklyn, the Hershey Medical Center, and Harrisburg International Airport. When working with students, Billet shares her appreciation of texture, dimension, and the repetition of patterns to create pieces with depth. The more challenging the concept, the greater the reward! Students learn to design, cut and adhere glass, and grout the pieces. Some projects allow participants to create individual fused glass tiles that serve as foundational pieces for the mosaic. This year, Billet led two projects through PCCA. Midd-West School District welcomed Billet for the fifth year! This year she worked with high school students in grades 9-12 and art teacher Tracey Mitchell, who described the full-spectrum project as “mind-blowing.” These pieces are a source of pride for the students and have become part of Midd-West’s identity. Juniata High School welcomed Billet for the school’s longest residency in their nine-year history of working with PCCA. The dynamic team of Billet and art teacher Sara Sutton rallied the support of community members and area businesses and agencies to create remarkable momentum for this project. Students worked diligently to complete the body of work and invited community members to place pieces on the border of the mosaic. The completed mosaic hangs on the Juniata County Library in Mifflintown where residents can enjoy it for decades to come. Michelle is the co-owner of Lewistown Printworks located in Downtown Lewistown. Originally from Lancaster, she graduated with Harrisburg Area Community College with a degree in Paralegal Studies. Now she pursues the role as a young entrepreneur and graphic designer. 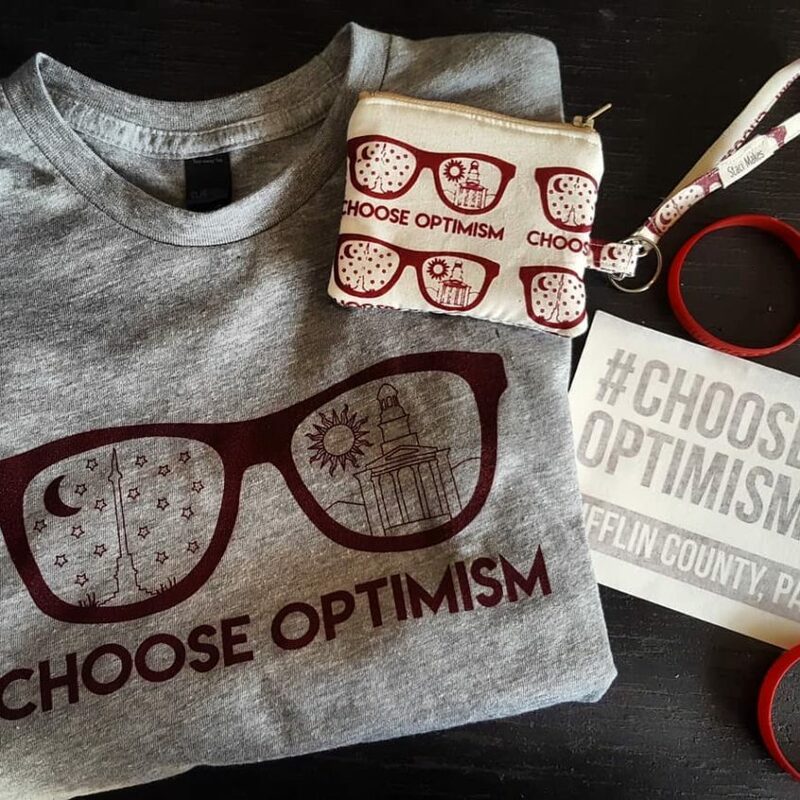 She serves as a board member for the Mifflin County Library, the United Way, and the Lewistown Area Community Garden. She is secretary of Kid Connection and a coordinator for Lewistown First Friday. Michelle lives in Lewistown with her h usband and business partner, Caleb, and their son, Jude. Michelle enjoys hiking, singing, creating art, gardening, and spending time with her family. Denise Hoke began quilting in 1979 after a Mennonite friend gave her a needle and thread and showed her the art of hand quilting. Hoke taught herself how to piece together a quilt and spent the next few decades building a clientele of customers and participating in juried art shows including The Little Buffalo Festival. In 1997, one of her large wall hangings was accepted and displayed at the National Quilt Show in Lancaster. As her love for the art continued to grow, so did her involvement in the community. Hoke has been a PCCA Roster Artist since 2009, she is a member of Perry Piecemakers and the Ickesburg Quilters, and she has hosted well-attended quilting retreats. In her art residencies, she begins by talking about quilts and their history. Her lessons are interdisciplinary, focusing on local history and the importance of mathematics and geometry in design. Students use all of these elements to create a piece with shape and color and to tell a story using symbolism. Teamwork and communication are crucial to the success of each mural as the students must work closely to design and complete each work of art. 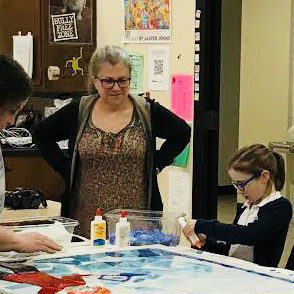 This year, Hoke shared her passion for mural painting with students at East Juniata High School and Mifflin County High School expanding PCCA’s Quilt Mural Trail to a grand total of 30 public murals! Each school also designed pieces to beautify their own space. East Juniata High School welcomed Denise in its first solo 10-day residency. Art teacher Tina Kerstetter and her students worked with historian Seth Moseby, choosing to highlight the interaction between Native Americans and settlers, the area’s beautiful natural resources, the logging industry, and the county’s oldest church. They gifted these beautiful creations to four local families who will proudly display them on their barns. The Mifflin County High School art department welcomed historian Bill Peightel. Art teachers Aimee Hubley and Jennifer Hartzler had a very focused mission. They wanted to honor the past and focus on future revitalization. 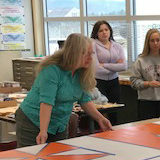 As a result, they worked with Hoke and their students to create abstract modern quilt designs which highlighted the Underground Railroad, the four generals who came from Mifflin County, the 1972 flood, the meaning of Kishacoquillis (the snakes are already in their den) and the annual celebration of Goose Day, to name a few. They gifted their quilts to a group of forward-thinking, community-minded businesses and organizations. 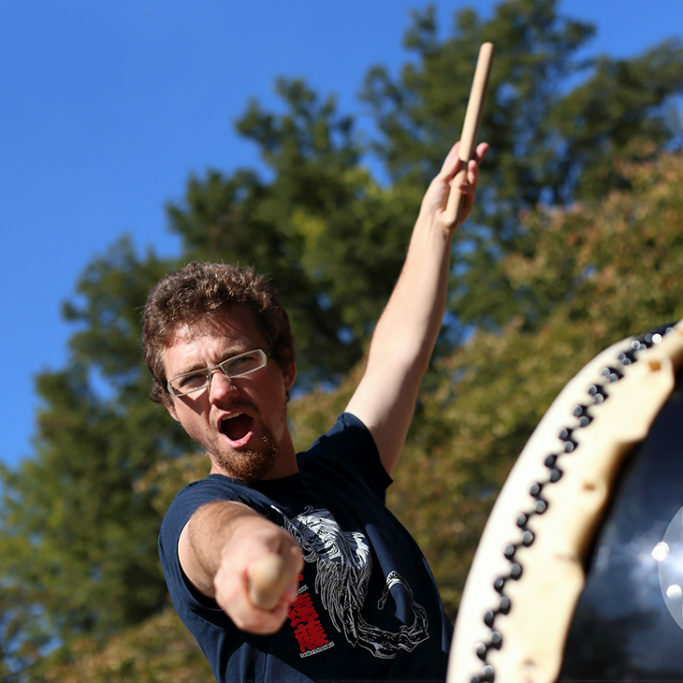 Urie Kline, a taiko drummer, is the founder of Lyco Taiko, and serves as a drumming instructor in world drumming at Lycoming College and a percussion instructor at Jersey Shore High School. He completed an apprenticeship at the Taiko Center of the Pacific in Hawaii. Kline’s holistic teaching style encompasses not only rhythms, but also history, cultural contexts and the aesthetics of taiko performance. Students will learn body awareness, how to play in time and subdivide the beat. They will even learn to make their own drums using salvaged tires and shipping tape! The project started with a public performance at River Woods Senior Living Community to introduce the art form to potential participants. It will conclude with a public performance. 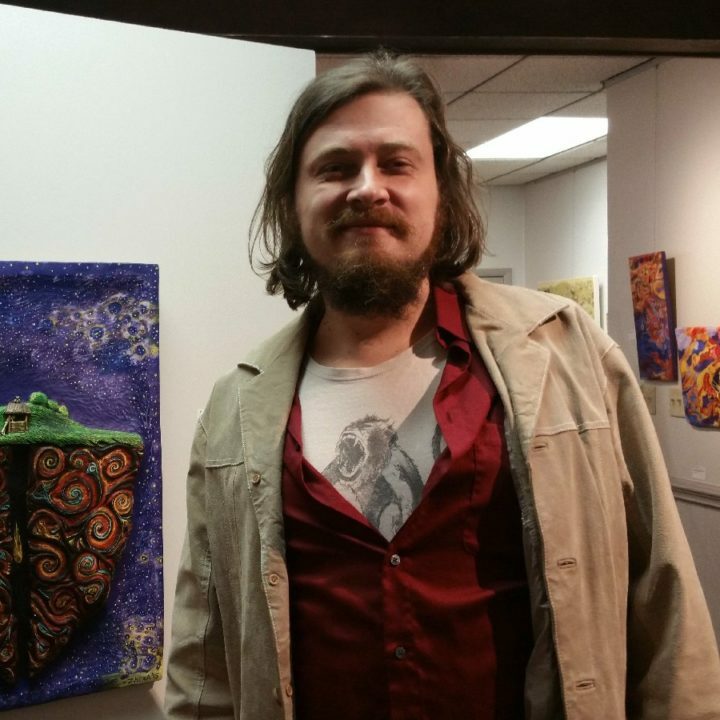 Jon Laidacker is a muralist who joined PCCA’s family of teaching artists in 2013. Laidacker works with the Philadelphia Mural Arts Program and holds an MFA from Pennsylvania Academy of the Fine Arts. He has worked with projects of all sizes in vastly different neighborhoods and these experiences have influenced his work in the studio. Jon was the lead muralist on the 85,000-square-foot “How Philly Moves” installation, which spans a half mile of the Philadelphia International Airport. You can read more about Jon’s journey to becoming a professional artist in his article in our Summer Arts Magazine. 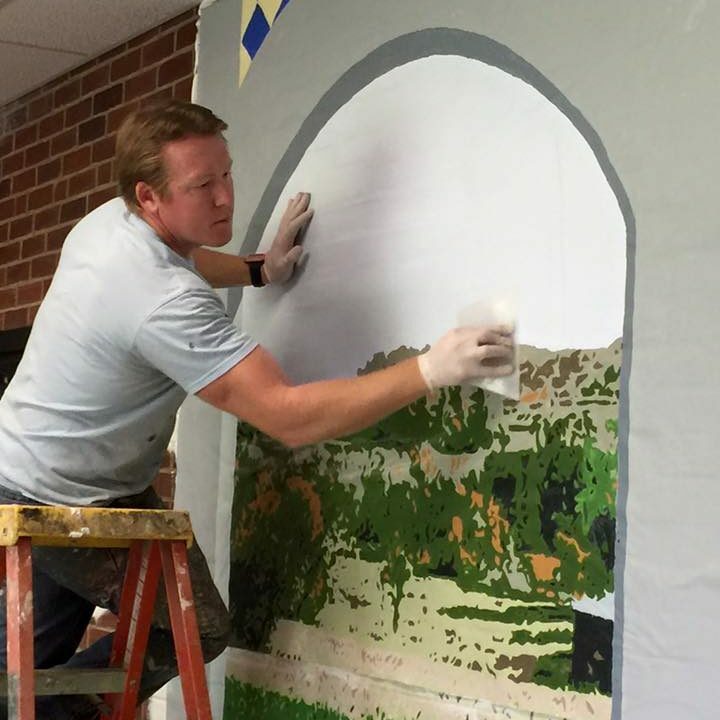 This year, Jon led mural projects at three schools in our service area including Greenwood High School, West Perry Middle School, and Shikellamy High School. As Perry County celebrates its Bicentennial, the focus for Greenwood High School students and art teacher, Jill Deimler, was clear! Historian and former Greenwood Elementary School teacher David Patton provided an enthusiastic account of Millerstown yesteryear, the town that was a transportation hub of the county. It was a place where toll bridges were washed away by a flood of pumpkins, Jesse James slept in the Hotel on the square, and Governor James Adam Beaver was born. During Youth Art Day more than 100 community members picked up a paintbrush to contribute to this design which will hang on an exterior wall of the Millerstown Fire Department. New Bloomfield is celebrating a central piece of history as well. West Perry Middle School students and art teacher Molly Knisely invited historian Glenn Holliman to share stories of Western Perry County. Laidacker worked closely with Mayor Arlis Krammes to ensure that the final design paid tribute to the dedication ceremony of the Soldiers and Sailors Monument which stands in the center of town. This piece is expected to be displayed publicly in New Bloomfield, the county seat. Laidacker returned to his stomping grounds earlier this year to work with Shikellamy High School students to pay homage to Sunbury’s history. Historian Mike Rouse provided an intriguing account of the area and art teacher Ingrid Howard and her students worked with Laidacker during his Teaching Artist Certificate Program through the University of the Arts and Pennsylvania Council on the Arts. Emily marches to the beat of her own drum, creating pieces that are whimsical and unique. As her untrained Pennsylvania German ancestors, weaving paper-cuttings and painting with watercolor, she creates the many charms of nature. The natural environment inspired paintings as a child and continue to be her inspiration today. Self-education has been an integral component to the evolution of Emily’s artwork. She just completed her demonstrations and one-person exhibit, “Paper Cutting; Past and Present” at the Denver Art Museum. 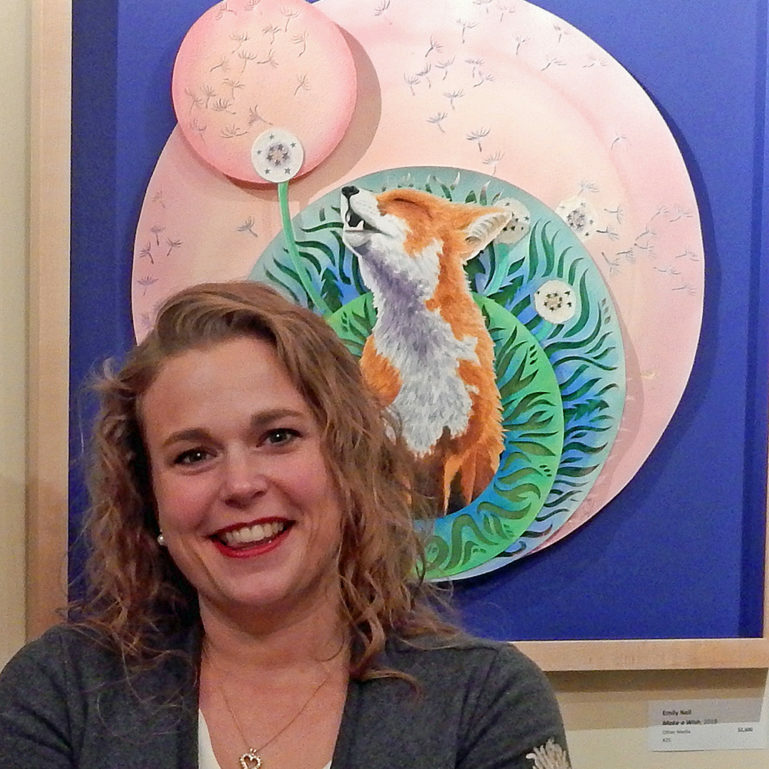 Emily’s art has appeared far and wide throughout Colorado, North Dakota, Arizona and Wyoming. As an educator, Emily provides visual art programs to K-12 students with her workshops “Dreamin’, Fraktur, Folk-Art for the Fancy” and “Animals Inside.” She creates curriculum for school requests and has formed some amazing partnerships with schools across the nation. Emily earned a BS Certificate of Teaching (K-6), from Messiah, a Christian Liberal Arts College, in Grantham, Pa. Popcorn Hat Players (PHP) Children’s Theatre has been entertaining children and their families since 1993, bringing fairy tales, folk tales and fables to new audiences every year. Using creative comedy and improvisation, the Players write original adaptations and breathe new life into unforgettable stories. 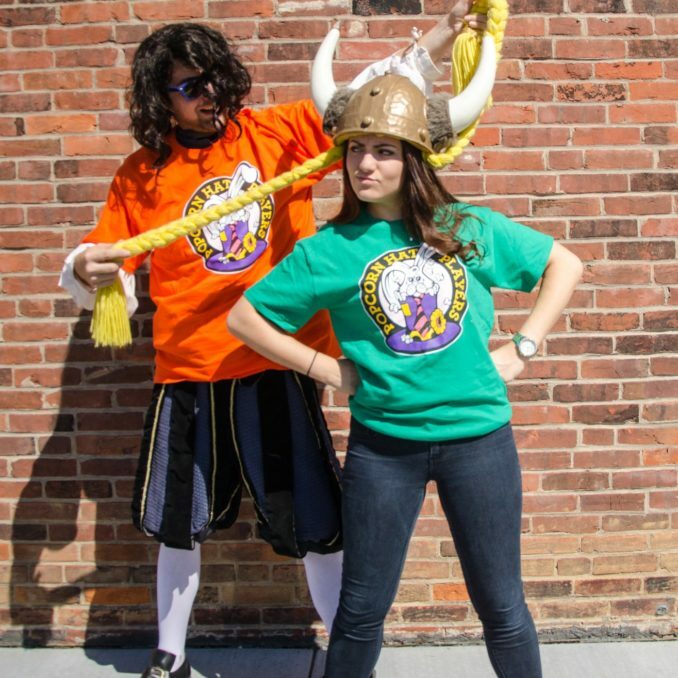 This rostered artist group has worked with elementary school age children to create a production that focuses on folk tales from other countries for the whole school to enjoy. As a kid, Todd was given the nickname of earth/water/fire because he was constantly playing with at least one of the three elements. He is a lifelong resident of Juniata County, and after high school attended Lock Haven University. It is there , he learned the basic building blocks for the pots he now creates. 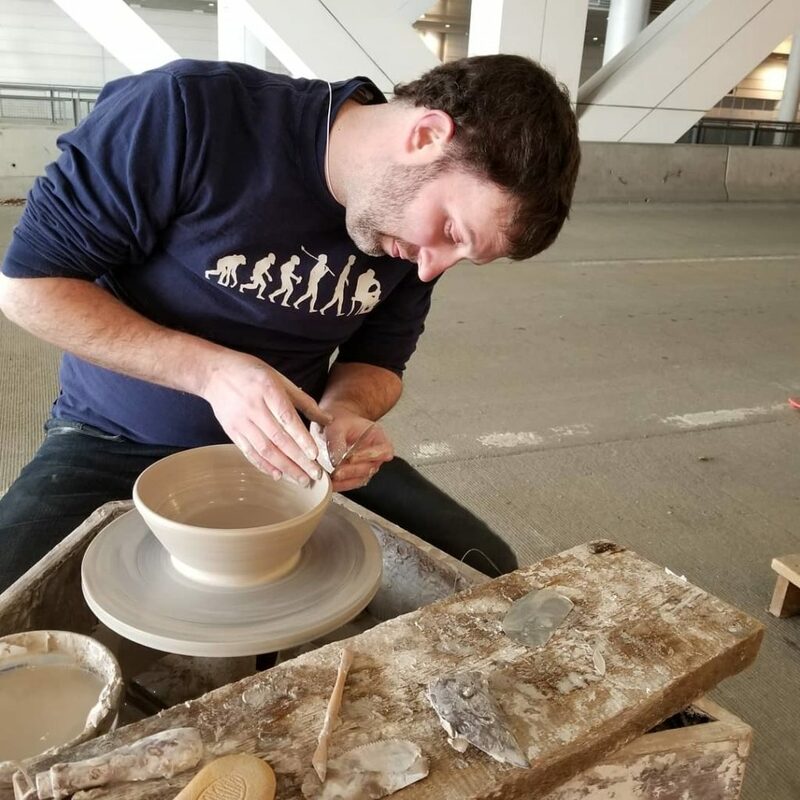 Todd has been a practicing studio potter for over 12 years. His pots are wheel-thrown and embody a simple, yet elegant, functional style. Todd’s use of several different clay bodies gives him the ability to tailor-fit a pot’s function to the best clay for the job. Employing both modern and traditional methods o f glazing, he adds yet another lay er to the aesthetics to the work. He has committed to several green initiatives which make his work not only pleasing to the eyes and hands, but more environmentally friendly than most other ceramic art.